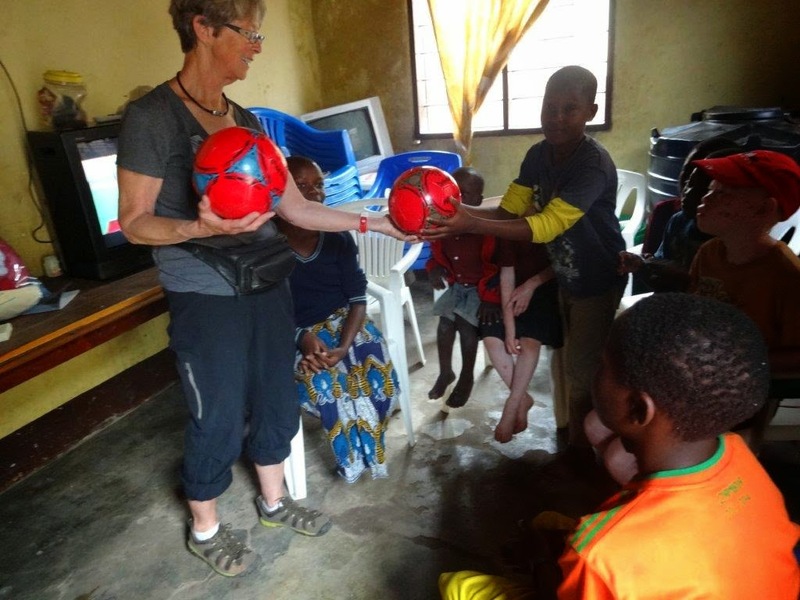 We regularly take teams of volunteers to Kahama but Susan and her granddaughter Morgan couldn't wait for the next planned trip, so travelled to East Africa on their own to visit our friends in Rwanda and Tanzania. 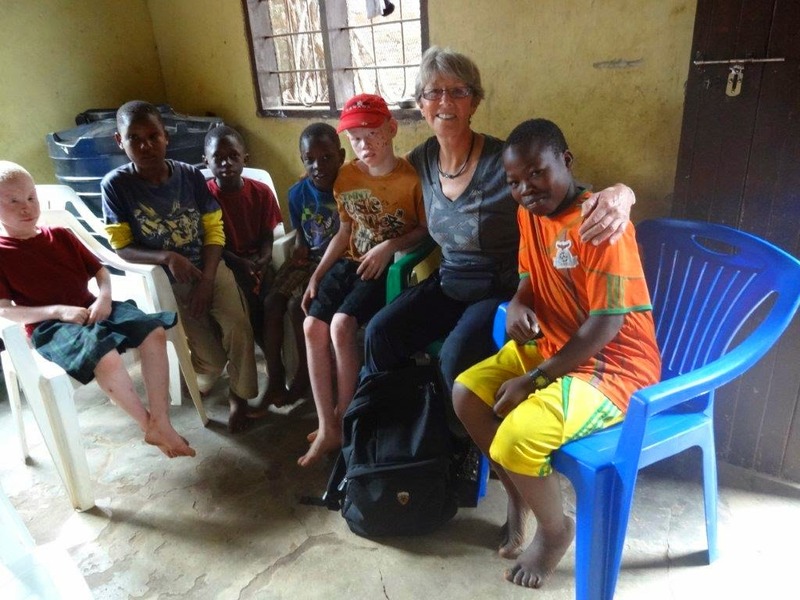 Susan has had a long-term plan to help out in an orphanage so was delighted to be able to spend time with the Muvuma children and the dedicated local women who donate their time to supporting them. The current small building houses 20 children and youth, click the Muvuma link on the right to learn more about the children and the new building, which will be home to 50 at-risk orphans. 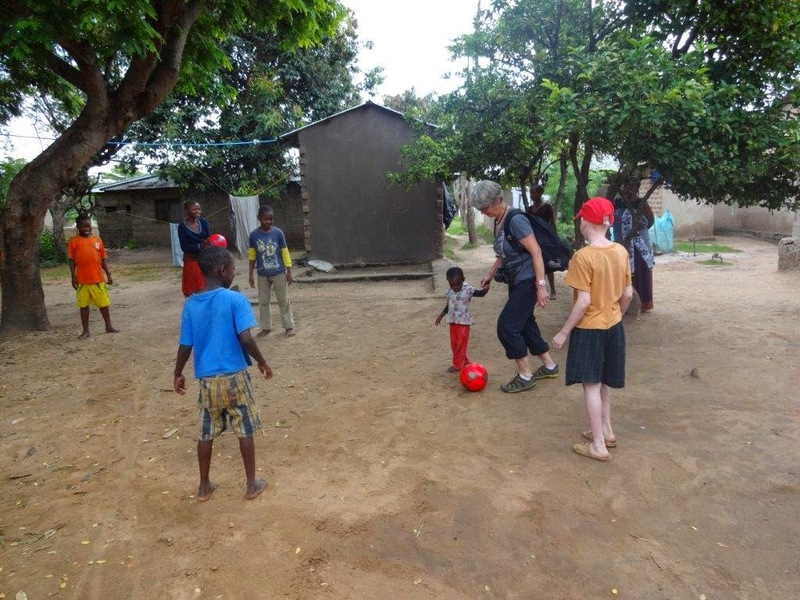 Muvuma shelters street-kids and children with albinism. We will be shipping a forty-foot sea container to Kahama at the end of the year, which amongst other essential supplies, is crammed full of educational resources, medical equipment and items to help furnish and finish the new building. Soccer balls are always greatly appreciated! Susan and Morgan visited with a number of families and assisted in our other programs too! 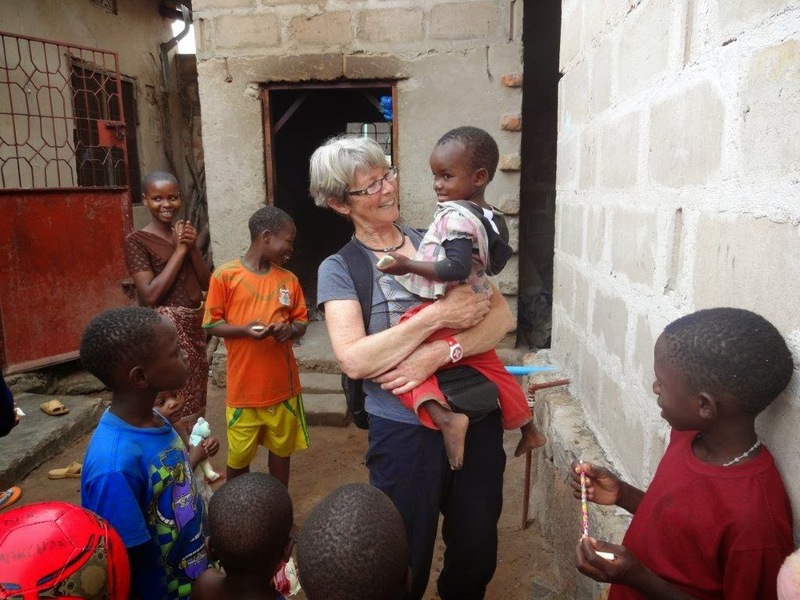 We greatly appreciate all our volunteers; whether you help in BC or on the ground in E.Africa you are truly making a difference in the lives of vulnerable women and children. Donate towards finishing the orphanage. Sponsor the orphanage or an orphan. Volunteer in Kahama, or in the Okanagan, B.C. You can also make a donation towards any of our programs by mailing a cheque to The One person Project, 10108 Julia Street, Summerland, British Columbia, V0H 1Z5, Canada. Donating on-line or making a donation at the Summerland & District Credit Union. Labels: 2014 Volunteer Trip, Muvuma Orphanage, Orphans, What you can do! Why is it important to support sports in schools? Denise Howie is an award-winning author and creative-writing tutor. Her published fiction has variously been described as ‘utterly charming’ and ‘quirky with a dark-underbelly.’ The author would like to point out that her non-fiction pieces are less capricious; this sensible but adventurous body of work (think Hermione Granger) has one goal and one goal only – to empower others. In her Denise Howie writing blog she adds a little oil to the stone on which writers hone their skills. The One Person Project blog aims to show how easy it is to provide the tools for self-sufficiency for a community in a developing country. Denise also creates content for businesses and organizations to connect with their audience. Charming or quirky can be applied as needed.